GET THE EXCLUSIVE NEW VARIETY PACK FREE! GET THE FAMOUS HEKA SAMPLE PACK FREE! Heka Energy Sample Pack Now! Better Tasting Portable Energy ON DEMAND! This Free Heka Sample Pack Gives You Proof Our Portable Energy Tastes Way Better Than That Pre-Canned Stuff at the Gas Station! Only 1 Gram of Sugar: The "Big Energy" companies pack as much as 10 packs of sugar in a single can! One Heka contains only 1 gram of sugar. Less Calories: The leading “Big Energy” drink is over 220 calories per 16 oz serving! Heka has only 15 calories per drink. Great Tasting: Let's face it, most Energy Drinks taste like cough medicine or sugar water. 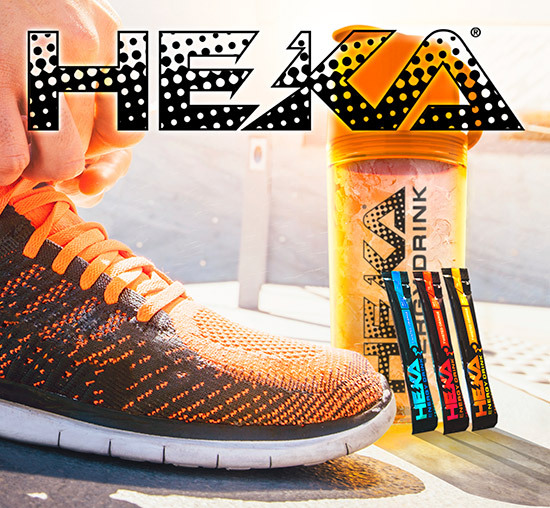 Hekas' unique blend of vitamins and ingredients provide one of the best flavor profiles of any Energy Drink on the market. Giving Back Matters to Us: "Big Energy" Lives on extreme racing and scantily clad women. Those things are nice but we prefer to use our resources to help organizations like Living Water International and Continue Mission - Supporting Returning Veterans. All American: Heka is born and bred in the U.S.A. We support the workforce and economy. Earth Friendly: We coined the phrase "Damn The Can." That's because over 8 billion pre-canned Energy Drinks were manufactured last year and we don't think they all made it to the recycling bin after consumption. Ultra-Portable: Heka comes in small sticks. When is the last time you threw 10 cans of "Big Energy" in your hiking pack for the weekend? Lose the dead weight with Heka. Supplies Are Limited So Grab Your FREE Sample Pack Now! So Why are we doing this? 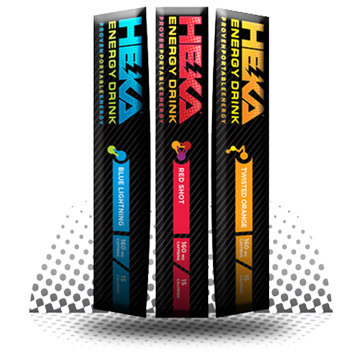 We believe Heka is the absolute best tasting Energy Drink period. This is our way of introducing you to Heka, showing you why The "Big Energy" Mafia doesn't want you to try Heka and a way to thank you for all of your continued support. Every time you use Heka you are supporting non-profits like Continue Mission for returning veterans and Living Water International. So that's why. Send Me My FREE Heka Sample Pack Now!